Pantai Cenang is actually not the hot spot for duty free shopping. Having said that, if you do not want to leave the cozy beachside venue and take a taxi all the way to Kuah, or if you are just looking for wine & alcohol, beer or even chocolates & perfumes at cheap prices, you do not have to go any further than Pantai Cenang. In fact all these items are available in plenty and in wide range of brands & quality at the duty free stores located here. Being a tourist hot spot, Pantai Cenang too has attracted couple of large duty free stores to set up business here. Both are located at the southern end and at the same complex where the famous Underwater World is located. The two Duty Free shopping centers are The Zon Shopping Paradise and Coco Valley. They are so located because from almost all the hotels in Pantai Cenang and Pantai Tengah, you can walk down to these two shopping centers. And there is a Mc Donald at the same premises plus several other great restaurants close by to perfectly compliment your shopping experience. There is also a large car parking space in front of the complex. You will also get many taxis from here to return if you so need. 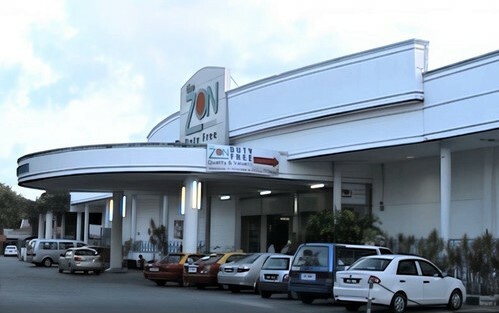 While Zon stores a range of items, the cheapest and the best buys include liquor, cigarettes and perfumes. You get a large selection of wine and spirits that are offered at very cheap prices. I last bought a 1L Absolut Vodka for only RM14. Beer is also quite cheap here. There are also great offers for Chocolates (with large varieties). For example you will get 200g of Tobelrone for only about RM9.50. 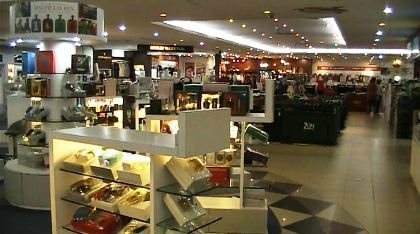 Other items in the store includes nice collections of perfumes & cosmetics, gift & souvenir items, clothes & dress materials, jewelry, pen, watches, sunglasses, luggage & bags. The store does have a lot of stocks and space to move around. The Zon also has an outlet at the Oriental Village in Pantai Kok. 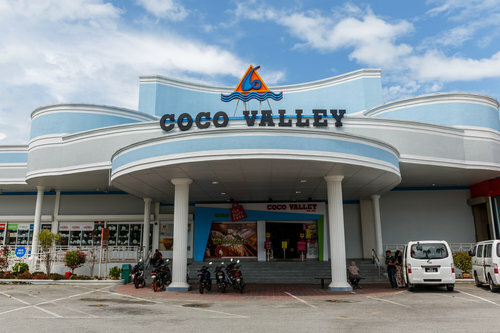 This is another duty Free store located in the same area as The Zon and next to the Underwater World in Pantai Cenang. This store has made its name for Chocolates - wide varieties and great prices. Other than chocolates, you will get liquor, cigarettes, perfumes and watches. I have also seen them selling luggage bags ... lots of them were piled up right in front of the entrance. They also have a large unit in Kuah Town which is essentially for wholesale.